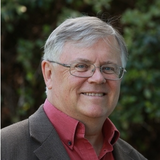 Christopher Wilson is an author, consultant and academic who has specialized in issues of collaboration, governance, and multi-stakeholder partnership. His work has specialized in issues of organizational development, governance, stewardship, and multi-stakeholder collaboration, where he has worked with a variety of public, private and civic organizations. Graduate and undergraduate courses in business-government-society, collaboration, partnership and e-governance. Christopher Wilson updated their profile information. Christopher Wilson shared Reimagining Government. Christopher Wilson changed their profile image. Christopher Wilson added interests reimagining government, cooperation, governance and more.